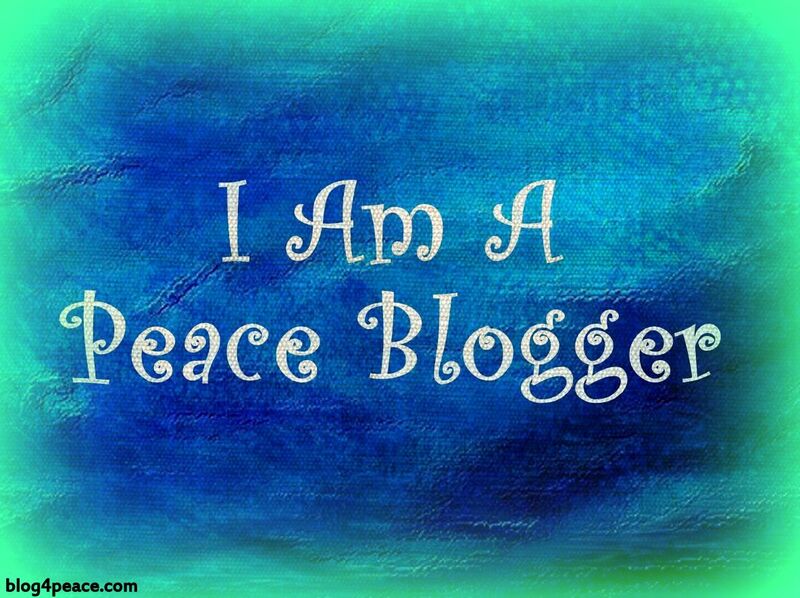 Today is the Blog4Peace blogblast. I decided to share a lesson in peace that has meant much to me. I am a practitioner of A Course in Miracles. My favorite lesson is Lesson 34: I could see peace instead of this. This lesson asks me to consider each thought that causes me stress, anxiety, or fear, and to tell myself I could see peace instead. The first time I read that, I thought that was impossible. I was a fearful being, suffering from PTSD, and seeing everyone as out to get me. How on earth would I EVER see peace? And yet, today I can see peace in many aspects of my life. And what’s more, because I have given myself that gift, I can also share it with others. Now don’t get me wrong. I am well aware that I’m no Dalai Lama. I am FAR from perfect, and there are plenty of days that I DON’T see peace instead. But those days are far fewer than they used to be. Just as happiness is an inside job, so is a peaceful heart. If you want to see a peaceful planet, the work must be done from within, not without. You can’t give what you ain’t got. I found peace through practicing the lessons in A Course in Miracles. If you’re interested, the entire text of the book, including daily lessons, are online. There are plenty of other places where you can find a sense of peace. Another text that has been quite helpful for me is Eckhart Tolle’s The Power of Now. Will you share with us what has helped you walk your path to peace? Peace is the most worthy of causes to blog for. Mummy says whee piggies have such peaceful uncomplicated lives, maybe hoomans need to take a leaf out of our book?! I checked out your blog. I hope one day you know what peace is. I know and I appreciate when you click like 🙂 It’s not with all people, I would like it if it rolled off like some say can be done. The lesson is that it’s not what I see that causes me distress, but how I perceive what I see. Many things I perceived as bad have brought good into my life, so is that bad? Lovely post, I’m feeling more peaceful already. The stoic philosopher Epictetus said that the only thing we can control is our reactions to the events around us. And yet, we still try…. It’s only a waste if not used wisely. Anger is a powerful motivator. We’re purring for peace and wishing you a very peaceful day! Rumpy I am going to be clicking on your link. I identify with Lesson 34. I am always looking for a peaceful place within. Peace to you. Thank you! And namaste, my friend. That is a wonderful sentiment to try for. I will try to beat that into TW’s head. Oh wait, I mean I will peaceably chant that to her. Pop used Namaste as a sign-off all through the 60’s, 70’s and 80’s. When he had his radio show, that’s how he signed off. It’s beautiful to see it back in use. Peace out. Namaste, dear friends. We, too, are blogging for peace. Wishing, purring and praying for peace for all beings … yoday and every day. Wishing for peace, dear Rumpy and June Buggy. A lovely idea and sentiment for sure!! I really like this song. I didn’t post the whole thing because I thought it was probably too long. I love this verse because I like the concept of the brotherhood of man. I have shared this on other blogs today too. I’m not familiar with the Course in Miracles, but that sounds like a perfect stress reliever. I think I need to learn more about it. 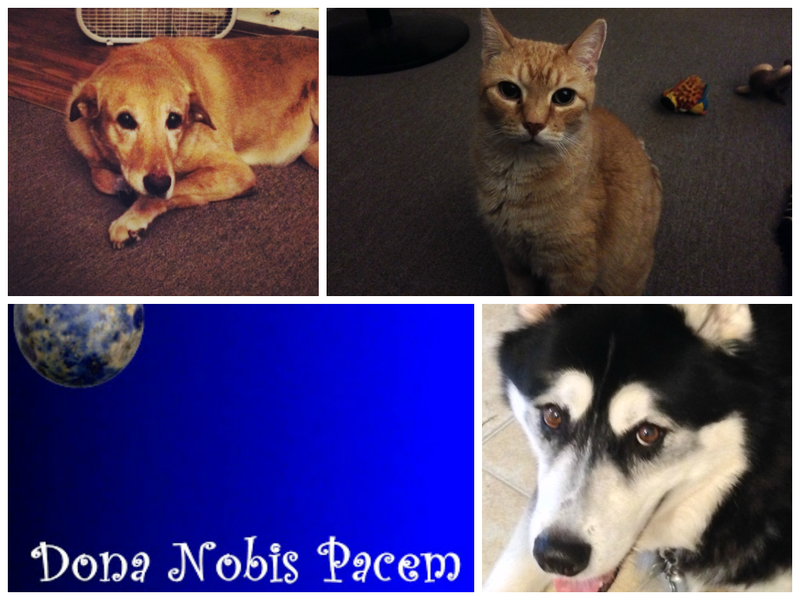 This is the peaceful-est blog ever – every day! Thanks Cupcake! I am a lover, not a June Buggie!!! What a great tip, Rumpy. We purr for peace…today and everyday. I wish June Buggie would! Happy Peace Day, Rumpydog! Generally, I’m a very chillin’ person, but I do tend to get worked up over a few things, like anyone. I just try to always be diplomatic rather than crush the opposition. Tends to work out more peacefully that way. I found great peace in reading your post. This is also my quest. Several years ago, I bought Daniel Levin’s “The Zen book” and have felt calmed just by reading the quotes and viewing the excellent photos. I also seek peace thru my faith, Catholicism, and have have a copy of “Keep Calm and Carry On” quotes posted on my desk at work, Each has helped, but I’m still a work in progress. And like you, I’ve found the more you do it, the easier it gets. Cats may argue from time to time, they know that the best way to live happily is to be at peace… Purrin’ for Peace right along with you! Between DeDe’s reminder to never leave the house without a smile and your post about seeing peace we can all be calmer and warmer..
Namaste Rumpy, DeDe, June Buggy, Jen and the rest of your grrrrrrrrreat gang. Love this post. It takes practice. But hey, we’re worth it! Choose not to be offended. There are plenty of things out there that can steal my peace if I let them. This is one way to stay calm. Also hugs from my doggie. I really like that lesson. I missed the chance to practice it today during my commute home from work, so I shall practice it tomorrow. A most appropriate poem. Will you join us next year and Blog for Peace? A student of Course In Miracles! Started it many years ago and worked through all the lessons. It’s always good to do the refresher (thanks for the reminder) and I need that again… .. it truly does force you to challenge all your dearly held beliefs on peace and the origins of peace. Lovely writings and intellectual/spiritual truths. 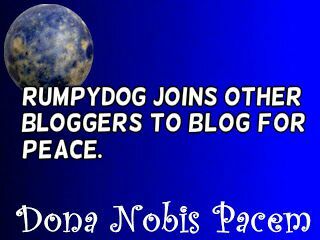 In my book, Rumpy, you are a peace blogger everyday.